Gleyber Torres and Miguel Andujar shined on an impressive day for the Baby Bombers, Giancarlo Stanton cleared the Green Monster for his 100th RBI and the Yankees reached the century mark in the win column with an 8-5 victory over the Red Sox on Saturday afternoon at Fenway Park. Torres’ fourth-inning homer marked the Yanks’ 265th of the season, surpassing the 1997 Mariners for the single-season record while also establishing New York as the first club to get 20 or more homers from every spot in the lineup. 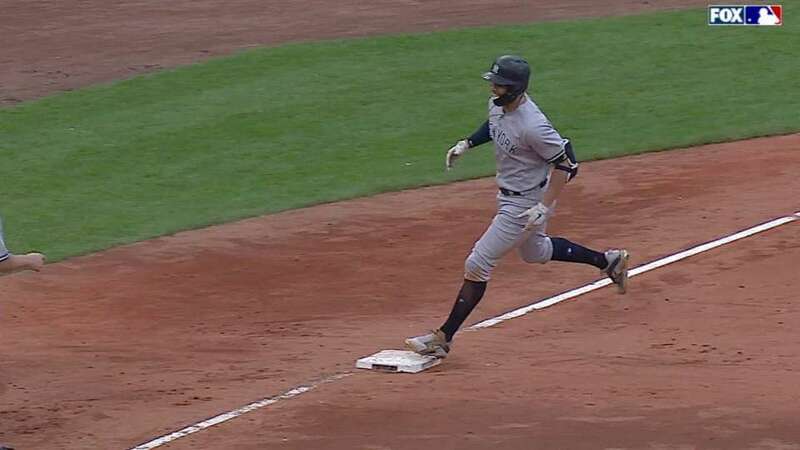 One inning later, Andujar legged out his 45th double, a two-run knock that shattered Joe DiMaggio’s 1936 franchise record for doubles (44) by a rookie.